I’m feeling both honored and thrilled. 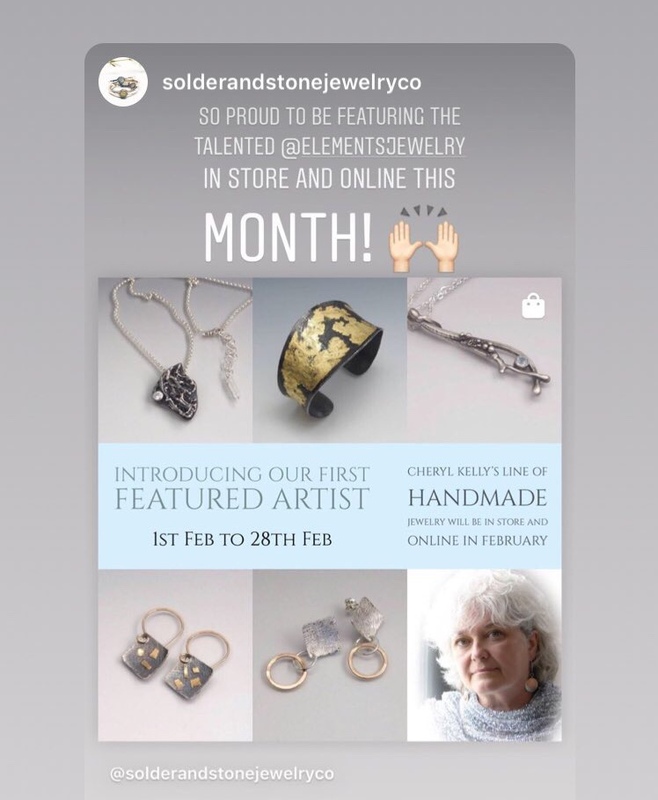 An opportunity has arisen for me to be the featured artist for the month of February at Solder and Stone Jewelry Company. This lovely store and gallery is the dream of Nell Henry and her partner Tim Campbell. It is located in the picturesque town of Hayden, Idaho- think resort town of nearby Coeur d'Alene and you have a good idea of the natural beauty of the area. Thank you Nell, and here’s to a lasting friendship. Wishing you abundance and continued success!